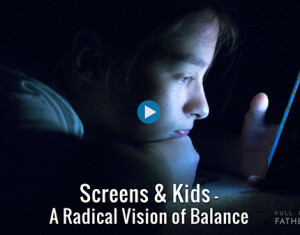 I don’t know about you, but I find parenting in this age of screens is a bit crazy making. One moment, I am relieved that my daughter is watching a video so I can take some time for myself. The next minute I’m being driven nuts by the pleas for more or frustrated that I can’t get her attention. In my struggles and research, I have found these four steps to be quite helpful.